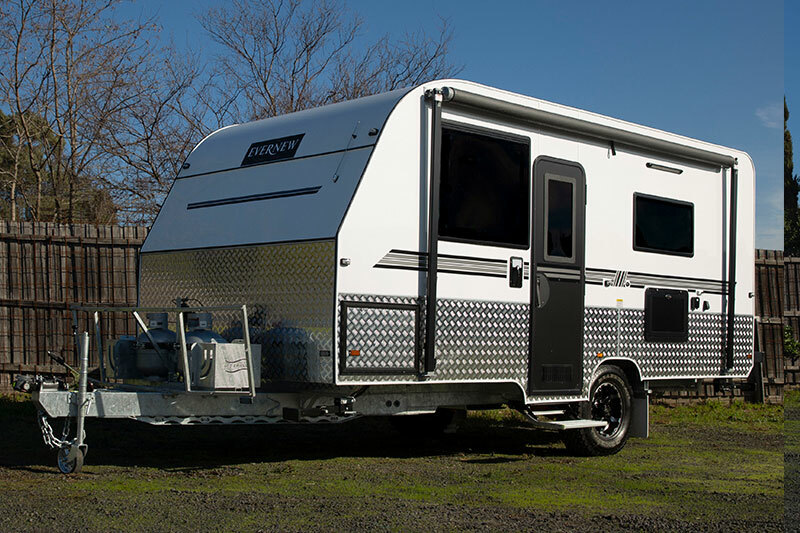 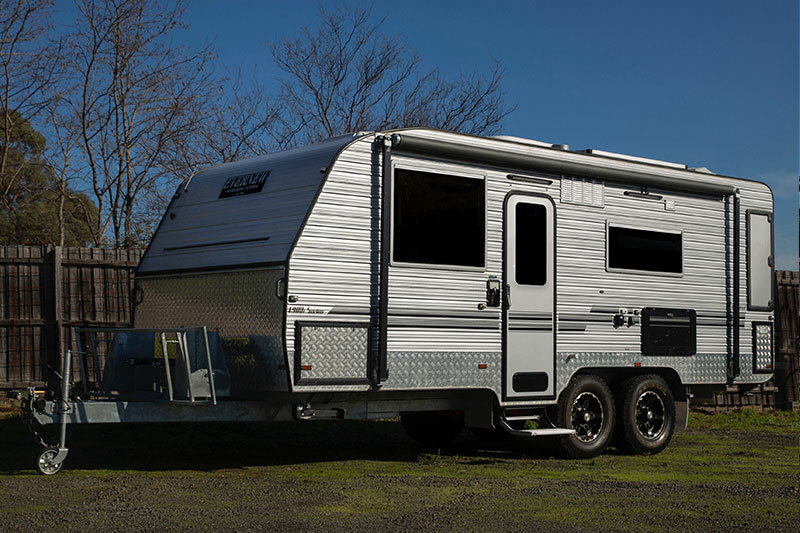 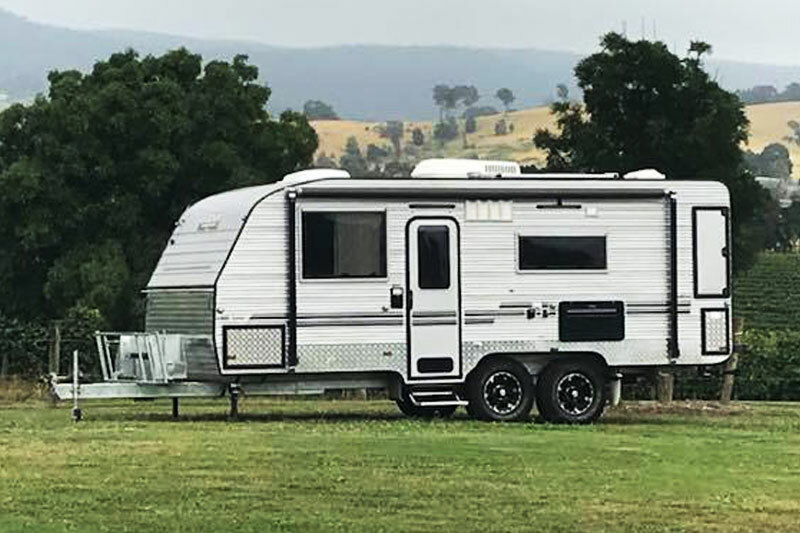 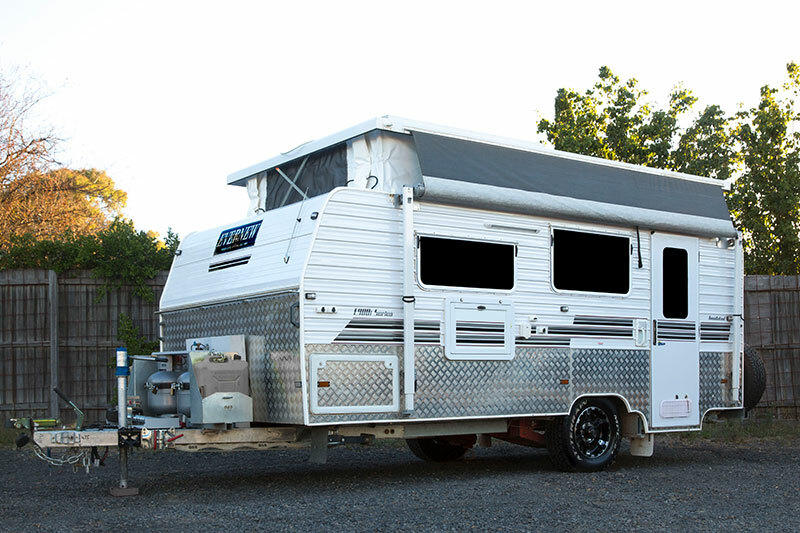 Presently, Evernew Caravans' most popular range, the e900 series is a firm favourite of Evernew Caravans customers right across Australia. 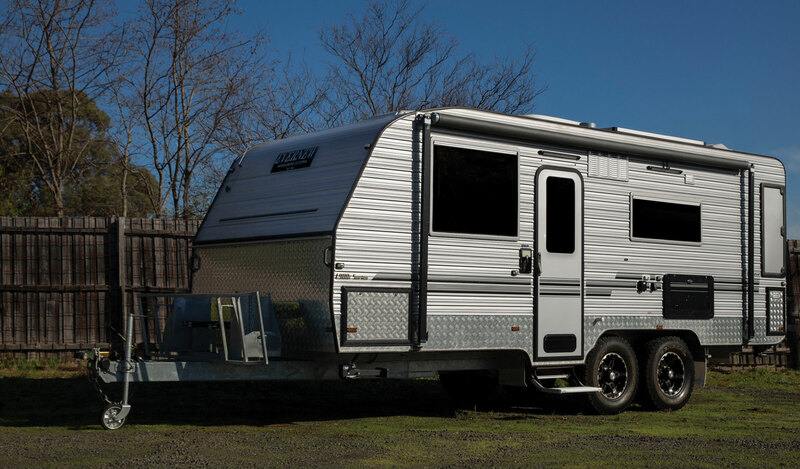 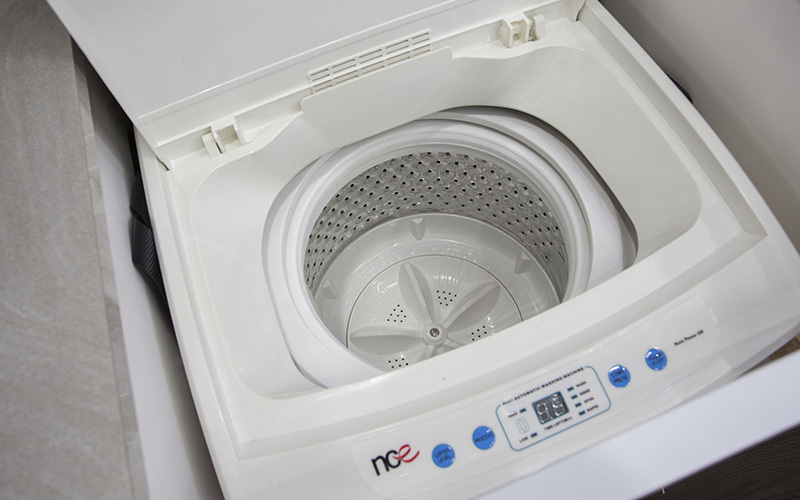 The e900 Series models manufactured in our Melbourne factory are custom built and come complete with a deluxe one-piece moulded fibreglass shower and separate or combined toilet. 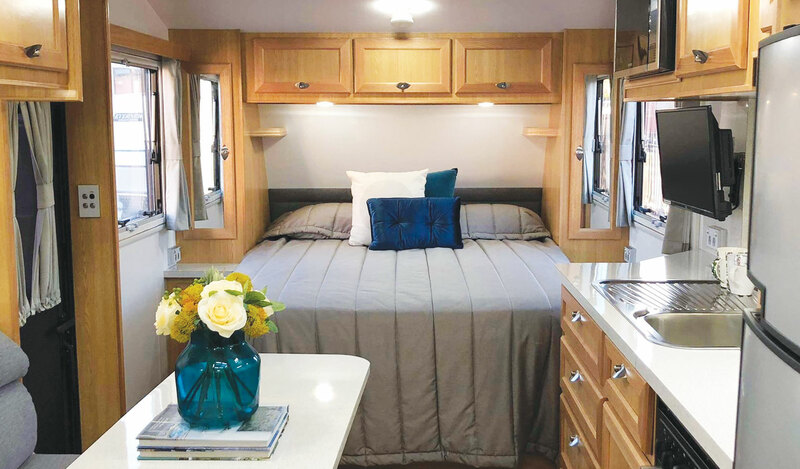 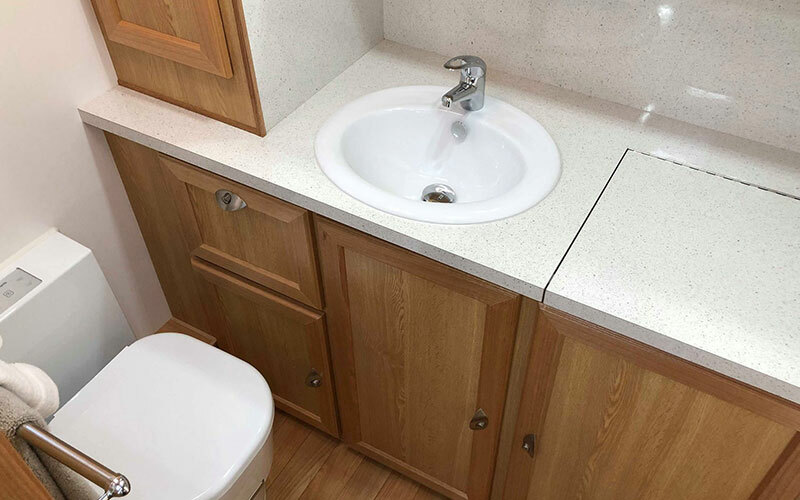 Choose from one of Evernew Caravans' many popular layouts or alternatively design your own ideal caravan. 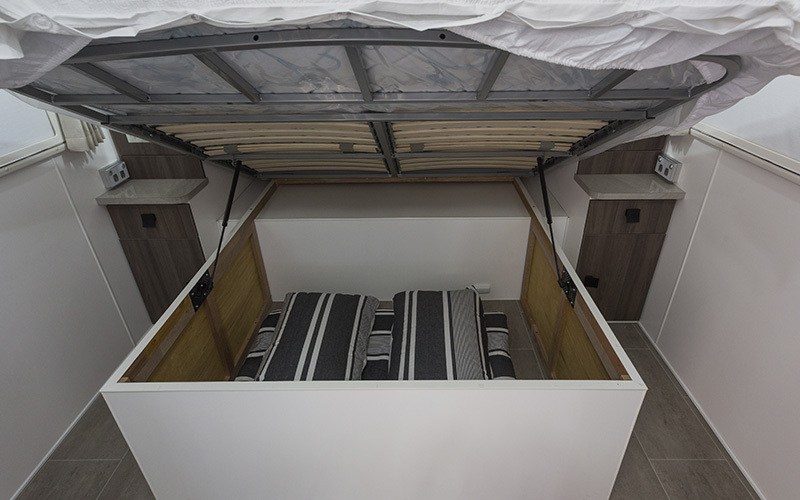 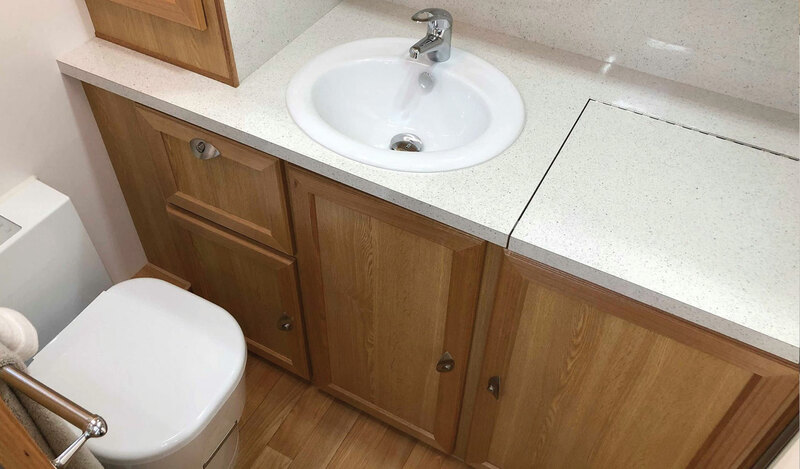 Build the caravan suited to both your style and lifestyle with a choice of all materials and colours for your selection. 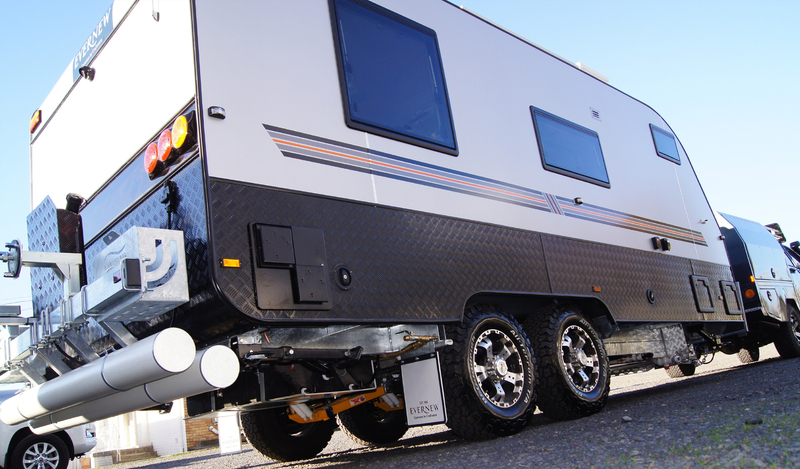 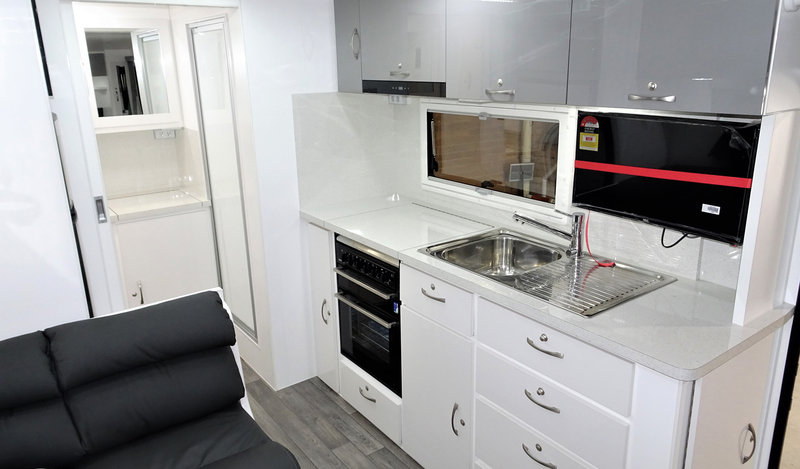 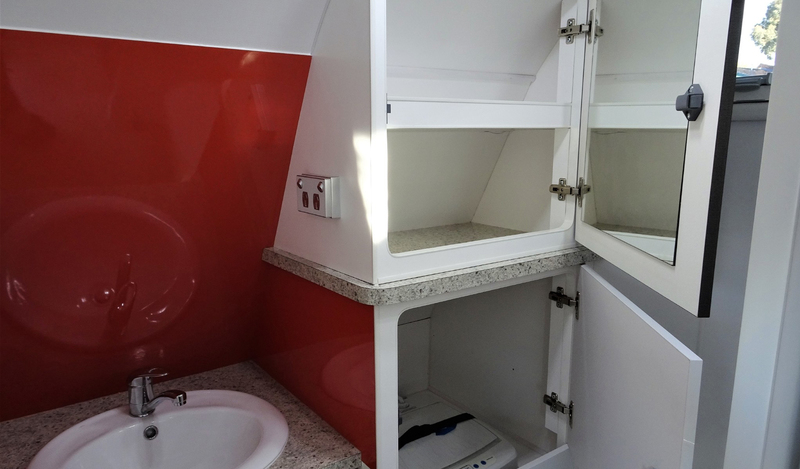 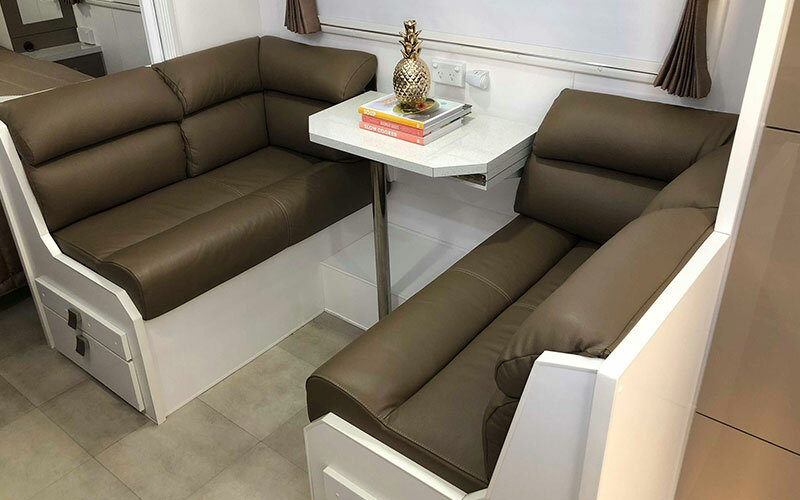 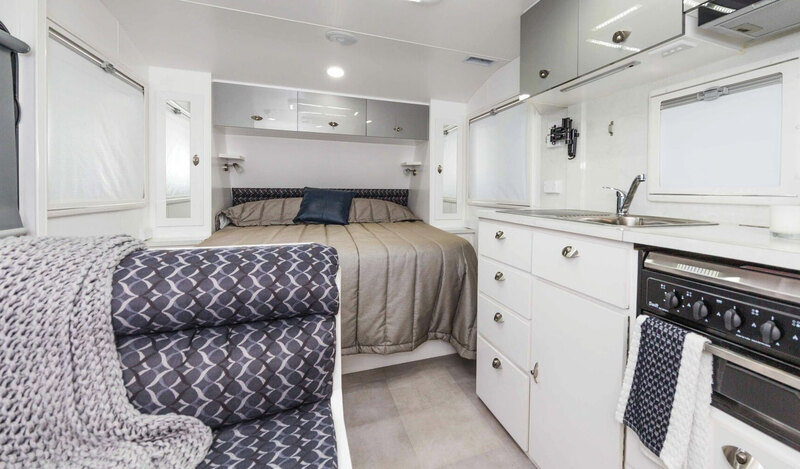 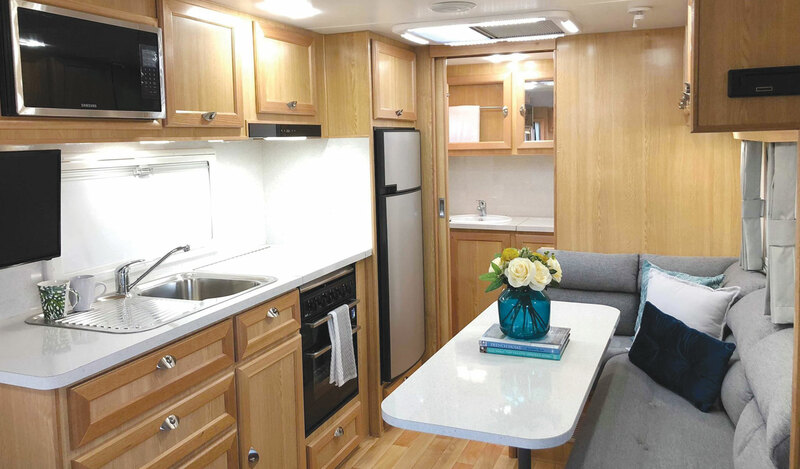 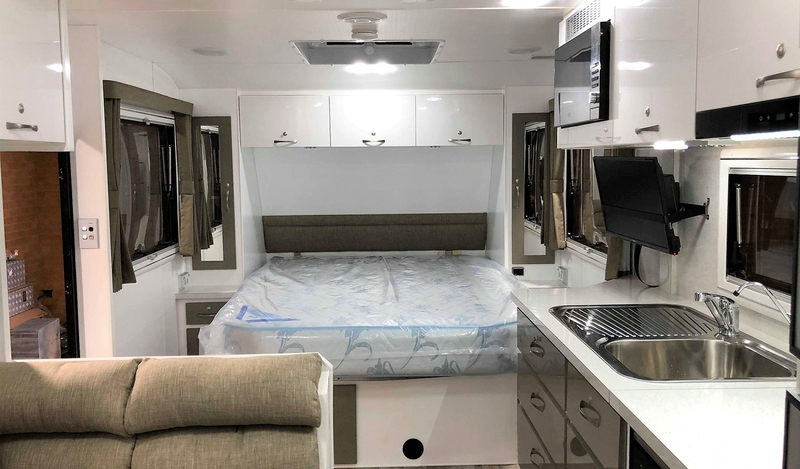 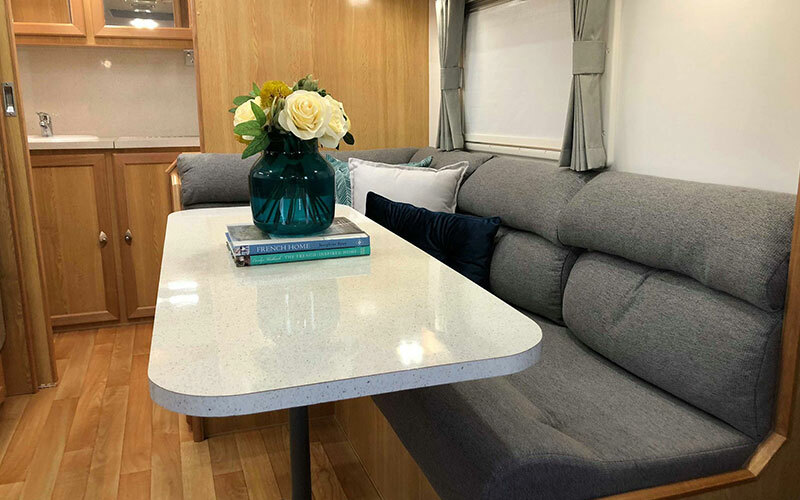 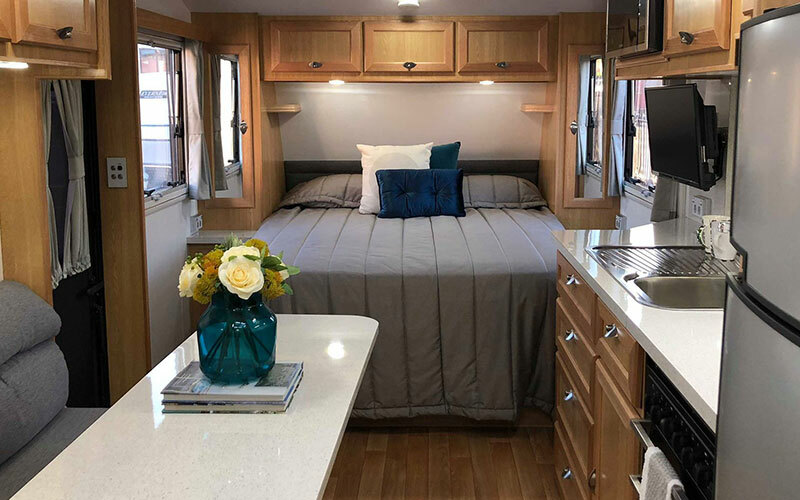 Each Evernew Caravan is individually designed and constructed using quality materials by Evernew Caravans' experienced staff. 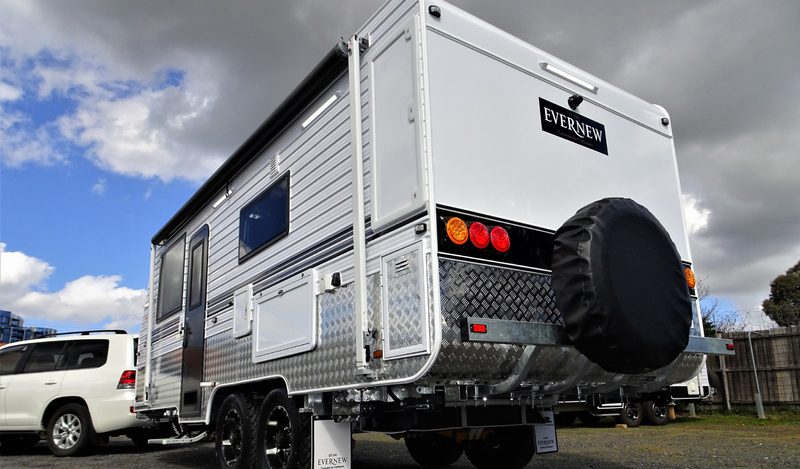 This range is also available with off-road options including extra heavy duty coil spring suspension, 15" or 16" wheels and checker plate stone guards.